As the name suggests, reimbursement form is for cases when you need to get some kind of monetary reimbursement for the expenses you were not supposed to pay for. 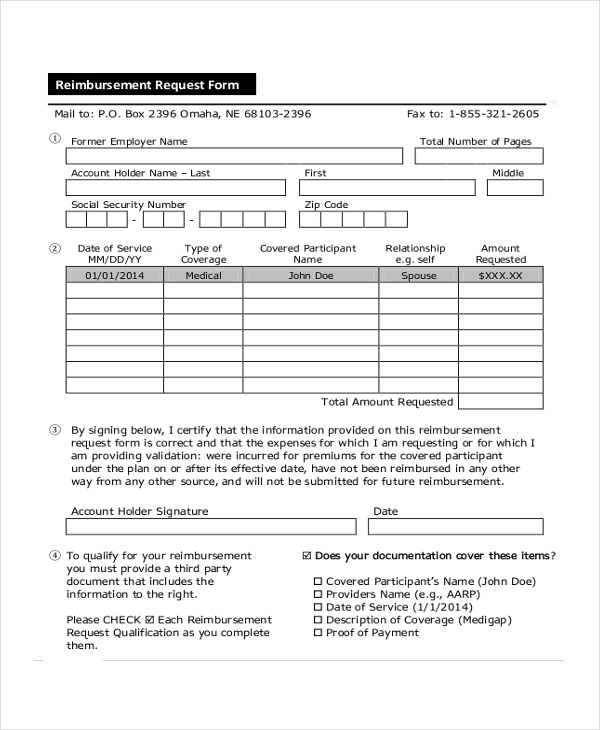 So before you can receive the reimbursement money, you will have to fill out a form that will be validated by the authority and then the request is processed with the form acting as an activity log for references later. 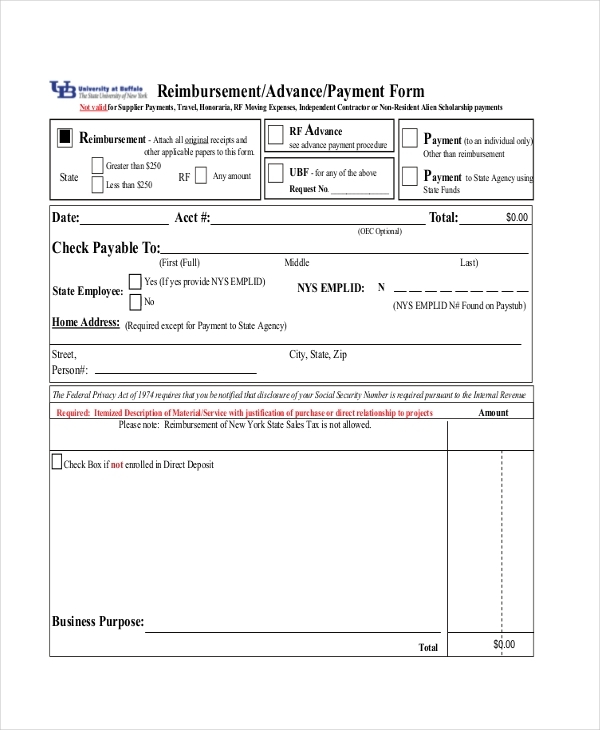 In the following pages, you will scroll through multiple examples of the reimbursement form, ranging from insurance reimbursement to medical bill reimbursement form. 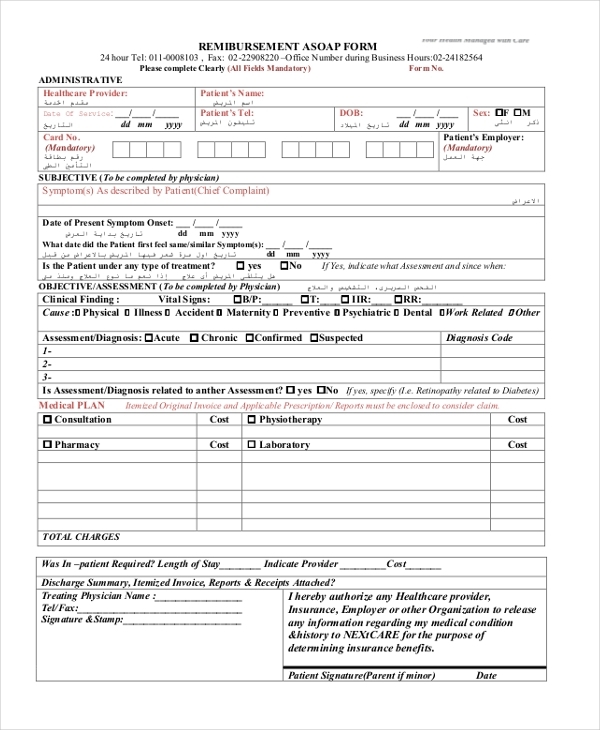 Browse through these useful form examples to use for your reimbursement purposes. 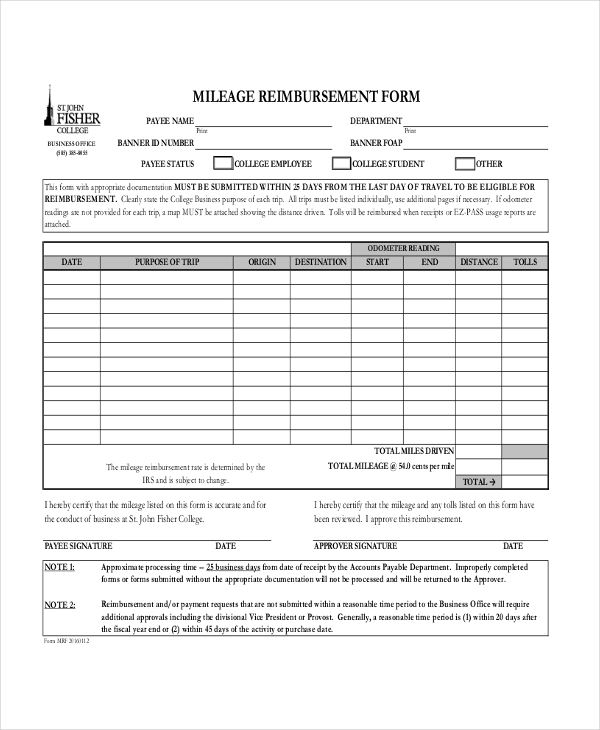 Here is a reimbursement form wherein you have to fill in your travel details along with the necessary distance covered and everything so that it can be used for the mileage reimbursement that a person is supposed to get which is determined by IRS in the given form example. 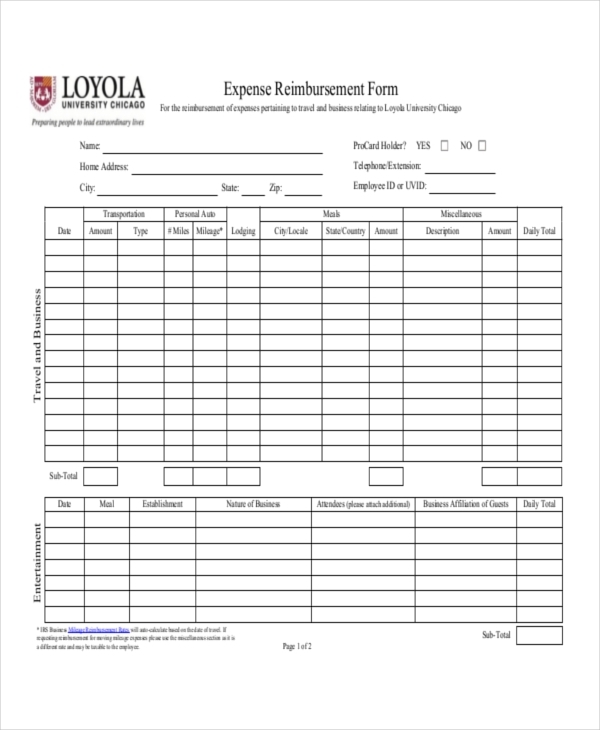 This reimbursement form is custom created for Loyola University for the students and faculty members to apply for reimbursement depending upon their travel and expenses while they were still being representative of the university. Medical reimbursement is something that every organization provides to its employees. Here you can declare your medical expenses along with expenses of your family members and can claim the reimbursement with a maximum value defined by the organization itself. The Certain government even provides reimbursement for maternity expenses of the woman. 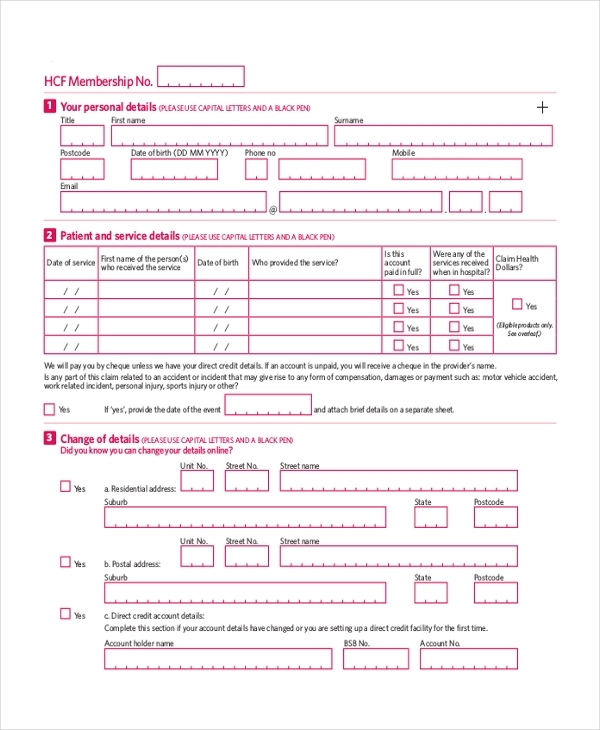 Here is a form that you can fill up for yourself or your loved one who wants to get the expenses reimbursement. Usually, there is a bunch of information in the form itself that every reader should go through. 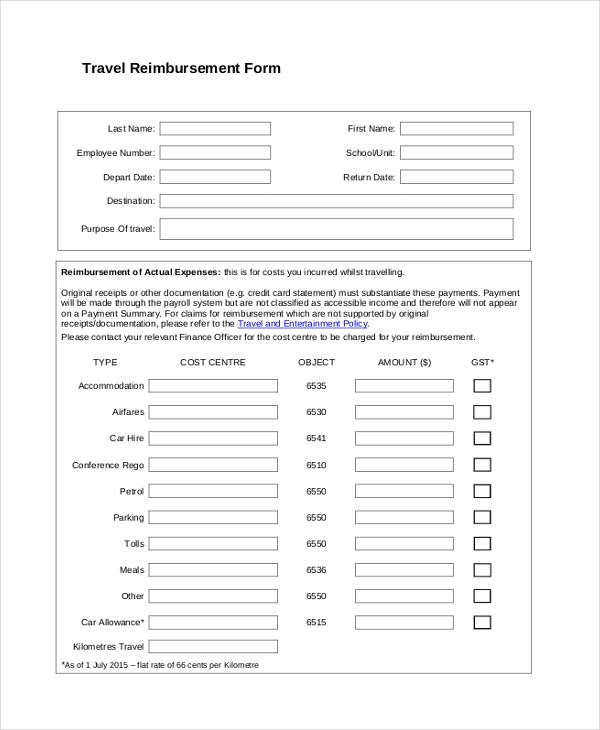 This reimbursement form is also custom designed for a university that pays for the expenses incurred by the university member while on an official trip. It can be a group of students with a faculty member visiting the neighboring university for the national Olympiad or a friendly basketball game. 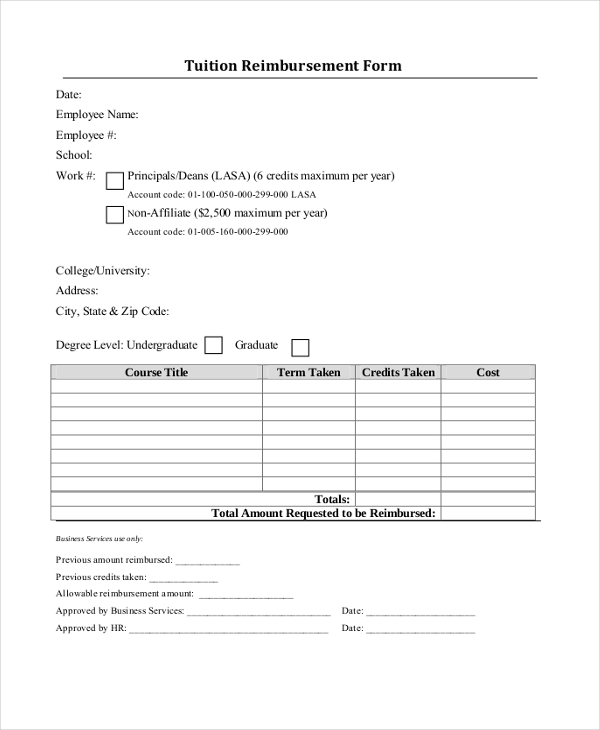 Here is a form that provides reimbursement for the tuition money that you spend on taking the courses. There are always certain clauses that the person has to meet before they can be reimbursed with money, obviously with a maximum cap. 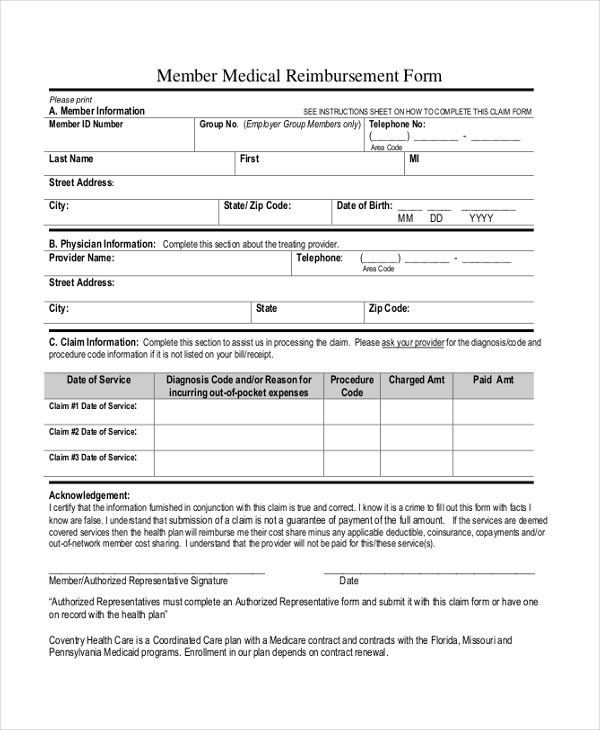 Here is a simple reimbursement form similar to what you might fill when you have to claim your reimbursement for medical purposes, wherein you can fill in the details about the healthcare services you availed along with details of your health insurance where the reimbursement is going to come from. 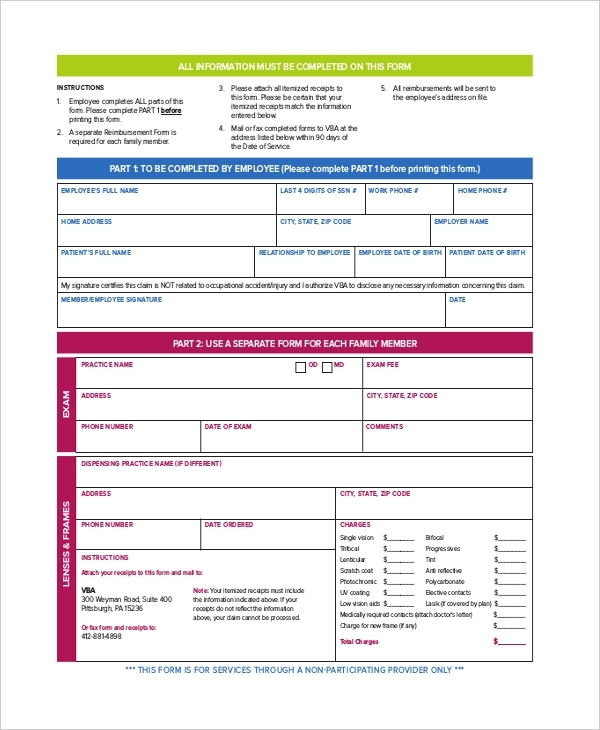 This claim form specifically for the cause of medical insurance wherein you fill in details regarding the bank account and the procedures and expenses you had to go through. For certain criteria and conditions, many people can opt for a fee waiver. 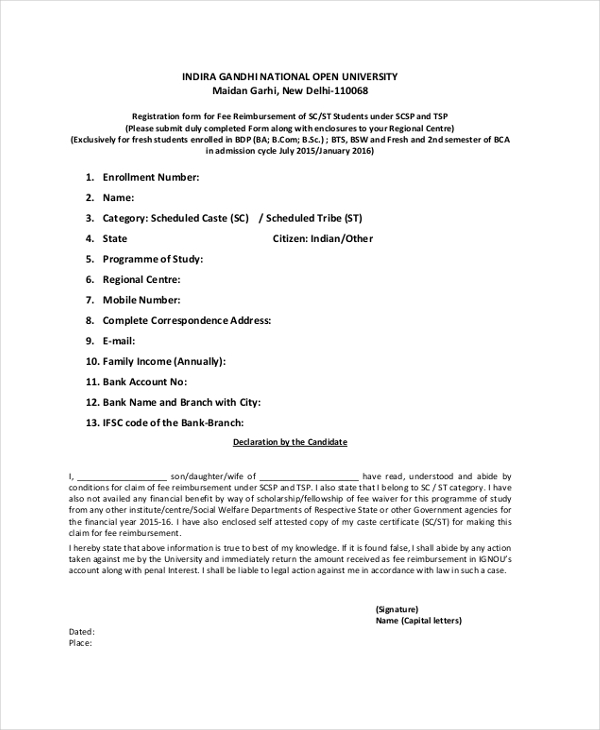 And in case you have paid your fee and would like to get the waiver, you opt for a reimbursement declaration form like the one shown in this example where the institute provides fee waiver to students depending upon the annual income of the family. 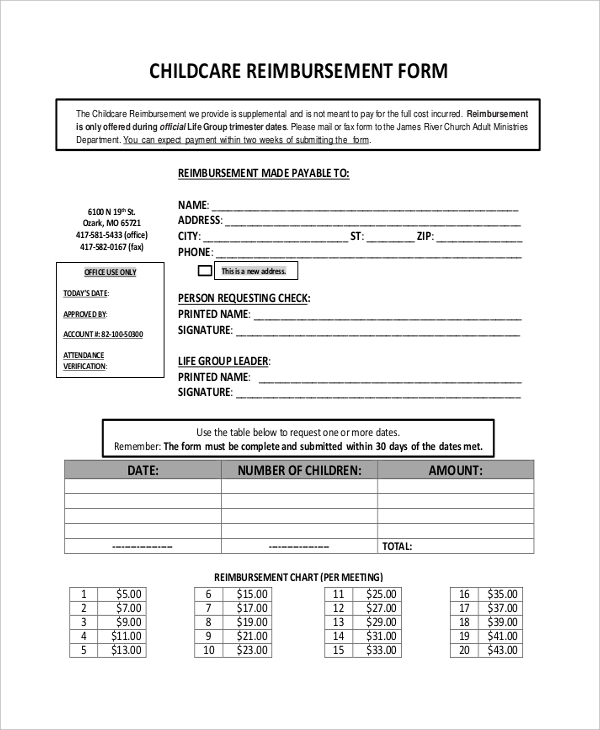 This reimbursement form is the form layout used by Nextcare that provides reimbursement for the medical expenses. 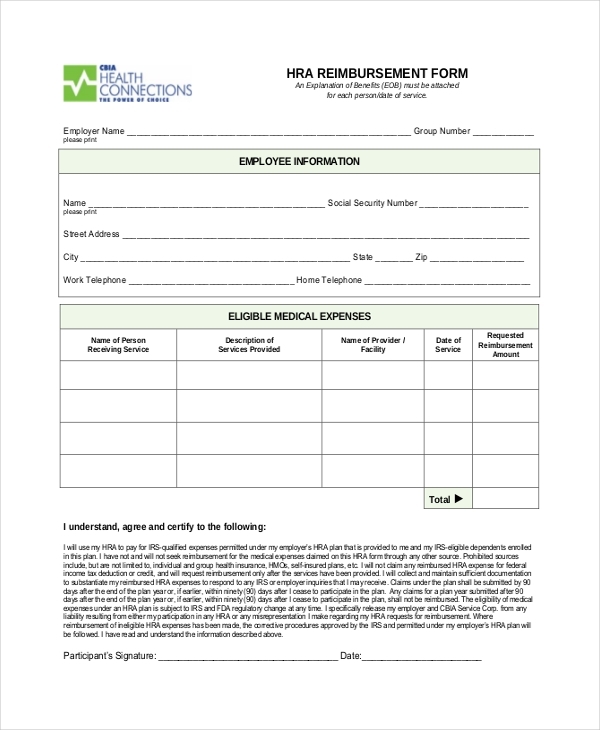 Fill in the form and attach the required receipts and invoice and you can ask for the reimbursement money that comes from your health insurance. 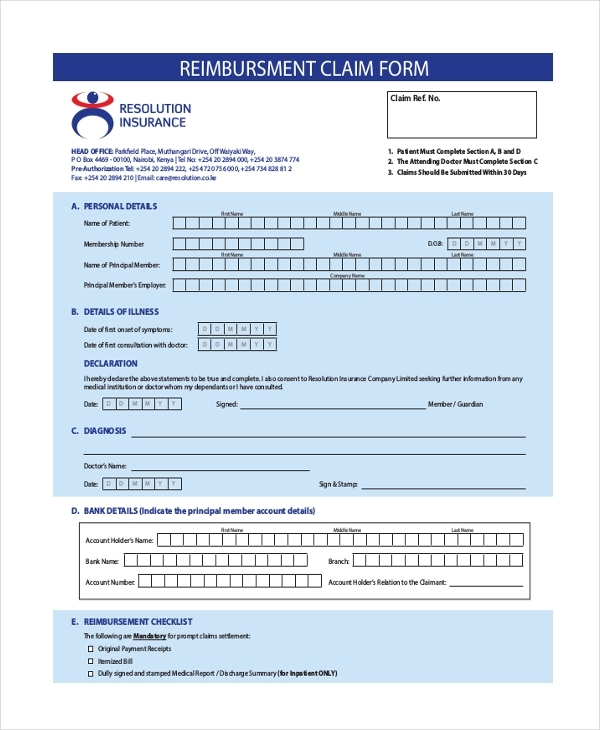 Here is a form that first states all the clauses and required information about who can claim the reimbursement. You can fill in your bank account details and then just wait for the money to transfer one of these days. Here is an example of a simple form that has just the minimal information required in a tabular format along with an example of how to fill in the form. Here is another sample that is used by some organization for their employees. The employees can fill in the form with all the required details and claim for the reimbursement as per the organization policies. Being part of an institute it comes with certain perks, like being able to opt for reimbursement for certain official expenses. 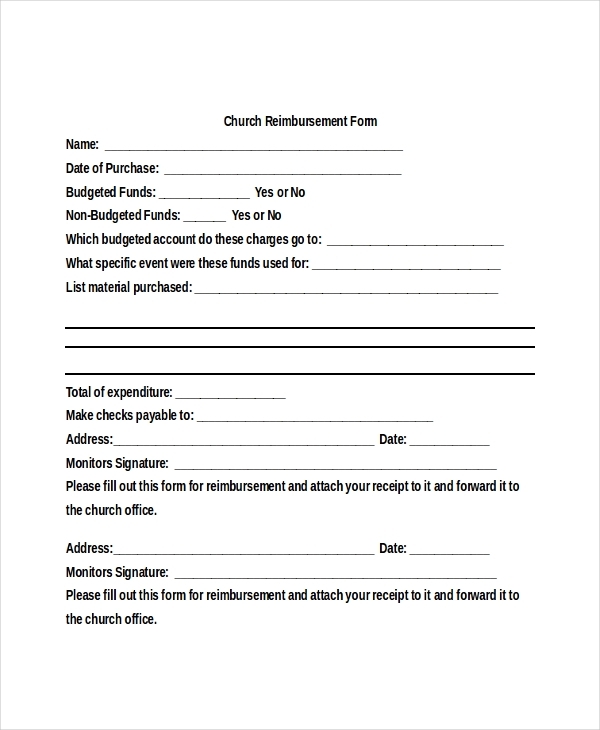 Here is an example of the church reimbursement form. Certain employees even get childcare support from their company to pay for the expenses of the kid while the parents are at work. For such a reimbursement, you can use a similar reimbursement form. Every employee gets a house rent allowance from his or her employer. 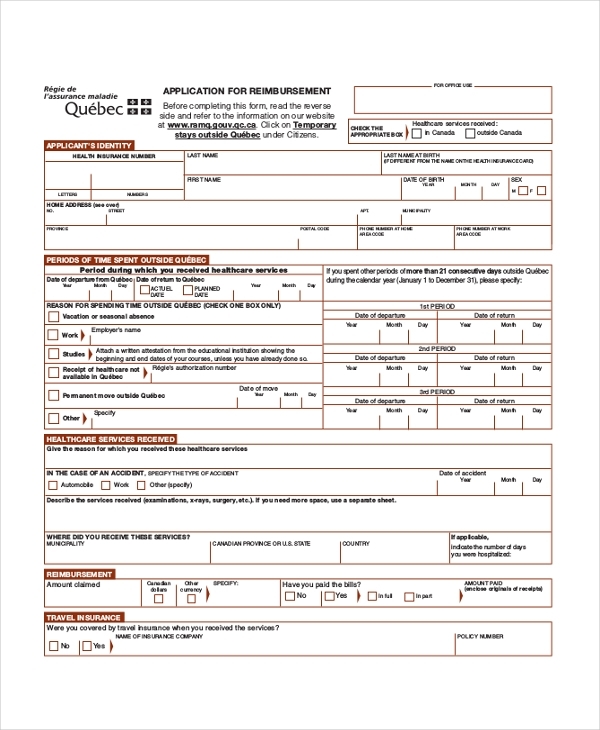 Here is a reimbursement form that you can use for claiming the house rent that you have paid. Usually, there is an upper cap that is there to this claim as defined by the government that is usually a tax saver. Reimbursement form is not authorized by the government or has any legal authority to it. So it can always be custom made depending on the situation or the reason of its use. A reimbursement form is a must for every organization so that their employees can claim the money based on the company policies. It is usually for the house rent, medical and travels in the form of gas expense. Even schools when they send their kids for a tournament or a meet asks them to claim the reimbursement for their expenses. And if you just scroll through the various examples for which the different styles of reimbursement form is used, you can see it is basically to opt for the benefits that are provided by some organization, be it your employer or be it government. One major area where thousands of reimbursement forms are used every day is the insurance company where the people claim for their insurance expenses, be it for a car or for their broken leg. The benefit of using a reimbursement form is that you can have the services that you availed without paying for it because as per the policies of whomever, you are entitled to those services under the given conditions. 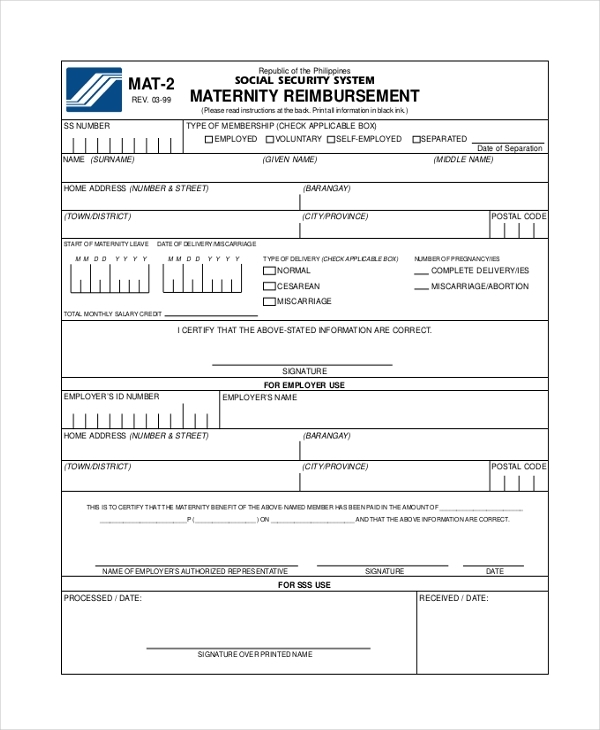 As you can see, there is no proper format to the affidavit form design, except for your basic details along with the reason and expenses incurred for which you are claiming the reimbursement.